The Britax B-Ready stroller immediately grabbed my attention while stroller shopping. Why? It’s GREEN! Plus it wasn’t nearly as bulky as the majority of the double strollers we were looking at and it’s stylish. 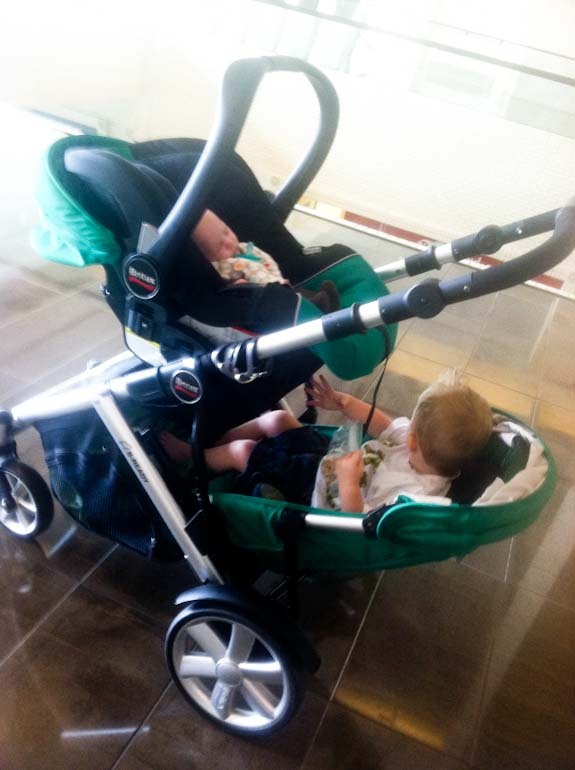 Just what you should look for over stroller functionality, right?